What does it means to moisturize your hair and how should you moisturize your hair? Why is it important to keep your hair moisturized? How do you keep your hair moisturized? It can be a little tricky and to confuse matters a little further, depending on the season you might have to switch up how you moisturize . The first thing is understanding the moisturizing process (the products you need to use) and then comes the order in which you apply the products. The order of application will depend mainly on the structure of your hair (porosity), your hair width (how thick your hair strands are) and what your hair likes. What are the combination of applications you can use? 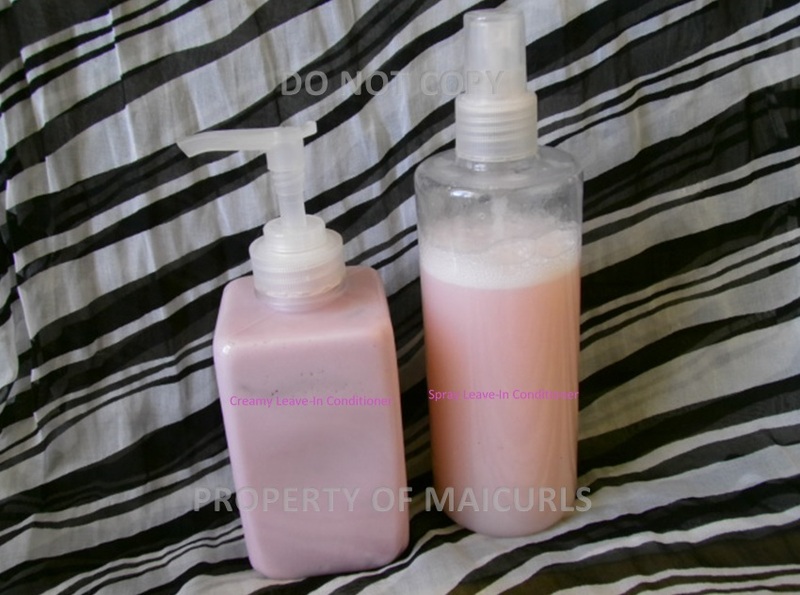 Liquids: can be anything from water, water and aloe Vera juice or a water based leave-in conditioners. The important aspect is using a product that is water based (water should be listed within the top 3 ingredients if not the first). Personally for me, water alone is not enough. I like to use water and my DIY Creamy Leave-in conditioner or my DIY Spray Leave-in Conditioner -which is water in a spray bottle with other ingredients added to it. Oil: this should be a carrier oil of choice that works as a sealant to “trap” in the moisture applied before (the liquid). 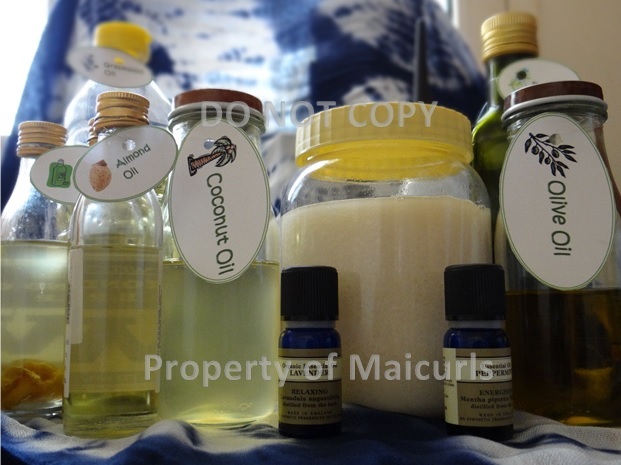 Depending on several characteristics of your hair: virgin coconut oil, grapeseed oil, almond oil, jojoba oil, avocado oil, castor oil (to name a few) or even a mix of oils. Those with fine hair will prefer lighter oils and those with coarse hair can get away with using heavier oils. 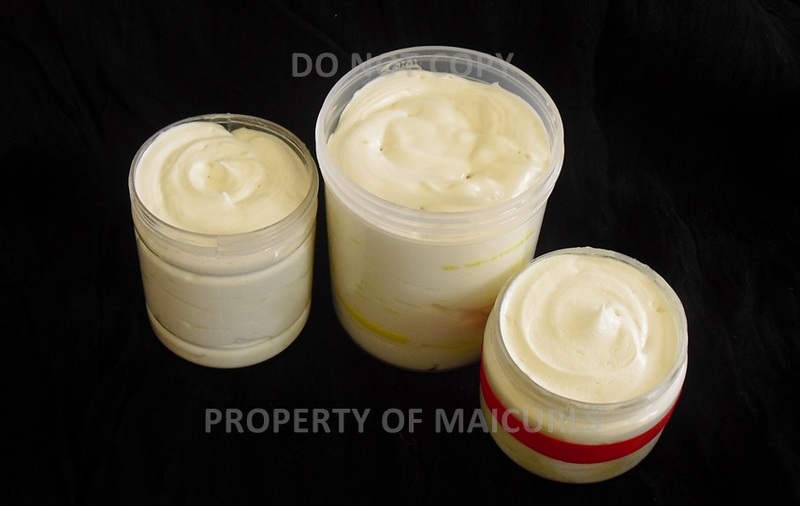 Cream: this can either be a hair cream, a whipped butter or a whipped butter mix. Depending on your hair structure a butter or cream can actually also be sufficient to help set styles. However if not, then you will want to apply a setting product for additional hold such as a gel (the styling product is not part of the moisturizing step). You want to layer on the products. I heard somewhere on a YouTube channel that moisturizing should be considered as painting your nails. You have a base coat, the color and then a top coat. The same applies for moisturizing our hair. Why is it important to moisturize our hair? Well, basically if you do not, you are asking for damage, breakage, thirsty and dull hair. Our hair is naturally dry due to its structure, the curls, kinks and coils makes it a little more difficult for the natural oils produced by the scalp (sebum) to travel down the entire length of the hair strand. We need to help the process along and the way to do that is to moisturize and seal. So which method is right for you? The only way to find out is to start with one method and then build from there, once you have determined your hair structure of course. If the L.O.C method doesn’t work for you then try L.C.O. and so on. Start off light with the products and try to determine how much/little you need and build from there. Up until I started using butters my method was the L.O. which for some sounds crazy (I didn’t have access to butters). Now I like to do the L.O.C method (both in summer and winter) after I have washed my hair. If I want super definition I will add Flax Seed Gel before applying the Cream. When I re-moisturize I will either do the L.O. or L.C. method and if I am restyling midweek then I might add my Flax Seed Spray Gel for hold. What is your moisturizing process? Does your routine differ in the summer and winter? I would love to hear from you! This entry was posted in Hair Care, Hair Routine, moisturizing hair and tagged Different ways to moisturize natural hair, How to moisturize natural hair, L.C.O method, L.O.C Method, L.O.C.O method, LCO Method for natural hair, LCO Moisturizing, LOC method for natural hair, LOC moisturizing, LOCO method for natural hair, LOCO moisturizing, Moisturizing dry natural hair, Moisturizing methods for natural hair, Moisturizing natural hair, natural hair care, Natural hair routine on February 8, 2015 by Maicurls.